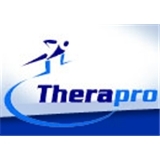 Therapro - Dr. Ravinder Tikoo, MD (Paramus) - Book Appointment Online! Dr Tikoo is Great but the office is terrible! They overbook every day and they are all rude and nasty. Also the wait time is horrible! You will wait 3 to 5 hours just to see the doctor! It's insane!